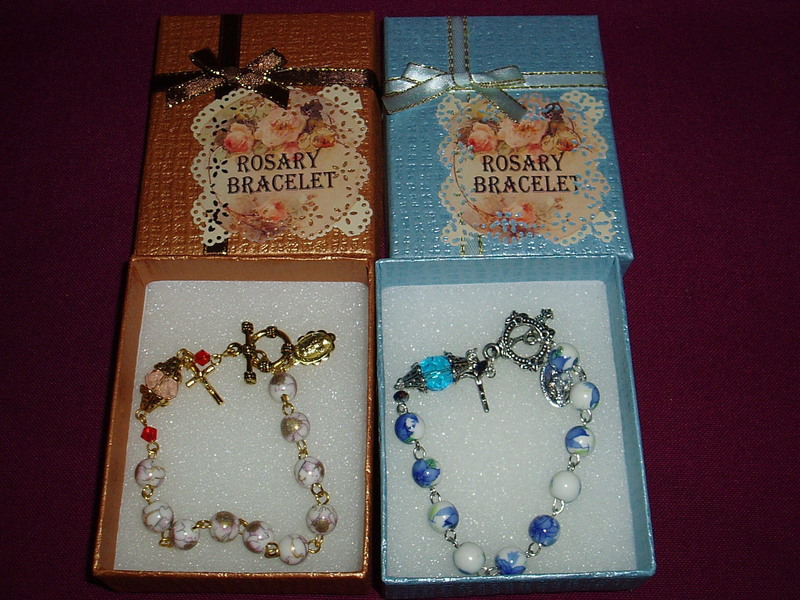 These porcelain Rosary bracelets have been lovingly crafted with devotion by a lady in Melbourne. They are beautifully boxed, made to the highest standard, and available in blue/white, and pink/white beads. Each colour combination comes on either a gold or silver chain. They are adorned with a crucifix and miraculous medal.